When Executive Director Ellen Sprenger spearheaded the development of Mama Cash’s first ever five-year strategic plan, it marked the start of a new era. Mama Cash continued to focus on funding autonomous regional and national women’s funds all over the world. Mama Cash also continued to support women’s groups addressing taboo issues. However, she limited the number of themes. Her priorities were bodily integrity; art, culture and media; economic justice; peace and security; and agency and participation. Mama Cash also needed to bring her radical wisdom into sharper focus and be more active in communicating her grantmaking and other goals. Apart from granting funds, she also wanted to influence the world of philanthropy and convince others of the necessity of investing more money in women’s rights. Last but not least, Mama Cash wanted to improve her capability to evaluate the grants she awarded and demonstrate the effectiveness of her own activities as well as the effectiveness of the supported organisations. Hanneke Kamphuis, formerly employed by SNV Netherlands Development Organisation, took over Sprenger’s function as the Executive Director in 2004. Her task was to execute the new five-year strategic plan. She was also in charge of stabilising the internal environment as the organisation navigated the recent shift from a voluntary structure to an organisation with paid employees. When the last founders—Marjan Sax and Lida van den Broek—left in 2003, the Board and staff had to stand on their own feet. When Mama Cash closed the Culture Fund in 2001, the Guarantee Fund in 2002 and the Mama Cash Art Award in 2004, she focused on the Global South and Central and Eastern Europe more than ever. Groups such as Organisation for Women’s Freedom in Iraq, that opened women’s shelters during the 2003 US-led invasion of Iraq, Cross in India, that requests equal payment for equal work for women working on the rubber plantations, StudioMobile in Georgia that is reaching out to isolated communities through TV and a traveling video theatre, and the Latin American network Relacahupan that campaigns for women to decide on the handling of pregnancies and childbirth, received grants from Mama Cash. Although Mama Cash is not an urgency relief organisation, she, after the 2004 tsunami that hit many countries around the Pacific, looked through her network of advisors for women’s groups she could support. This way Mama Cash gave grants to several groups, among them Siyath, an organisation providing women home workers with new raw materials, that had disappeared in the waves. In the new millennium, Mama Cash partnered with international feminist organisations. Feminist organisations had grown in size significantly over the turn of the century, and their influence had increased substantially. Together with other women’s funds, Mama Cash tested Making the Case, a new tool developed by the Women’s Funding Network (WFN) that would help evaluate the impact of grants awarded. In addition, together with WFN, Mama Cash assisted in advancing a tool for the organisational development of women’s funds: Smart Growth. Mama Cash also worked together with the Association for Women’s Rights in Development (AWID), an international network that works to strengthen the voices, the impact and the influence of women’s rights advocates, organisations and movements internationally. In 2005, AWID and Mama Cash co-published a book: The Future of Women’s Rights. The book presented an analysis of the position of women from the perspective of fourteen activists from various parts of the world. This publication concluded with strategic notes about the future of the international women’s movement. During that same year, AWID published its first report on the state of funding for women’s rights: Where is the money for Women’s Rights? The report disclosed the shocking fact that, of the money available for development worldwide, only 3.6 percent was assigned to women’s rights and to gender equality. In the European Union a mere 0.04 percent went to women’s rights and gender equality. The AWID report provided an extra incentive for Mama Cash to increase her fundraising activities. Following the example of the HER Fund in Hong Kong, she initiated her own version of the ´88 Days Campaign´. The first 88 Days Campaign kicked off on the International Day of Human Rights on December 10, 2005 and ended 88 days later on March 8, International Women’s Day. This first online campaign helped to grow Mama Cash’s online community. During the 88 days of the campaign, her website was frequented more often than it had been during the two prior years. Visitors were invited to send e-cards and to sign a petition protesting the lack of money for women’s rights and directed to the European Commission. Visitors could also vote for one of the six nominees for the Mama Cash ‘(she changes the world)’ Award. Last but not least, they could donate money. The campaign raised a total of 135,000 euros and was nominated for the ePhilantropy Award by the US ePhilantropy Foundation. The 88 Days Campaign ran for four consecutive years, addressing a different issue each year. In 2007 and 2008 the campaign was concluded with a superb bathtub race through the canals of Amsterdam. Mama Cash kept looking for new collaborators in the Netherlands. She felt the need to create a contemporary platform for the women’s movement. Therefore, she initiated, together with the Founding mothers, an ad hoc network of women from various civil society organisations: WOMEN Inc.. WOMEN Inc. is now a platform where women of all ages, backgrounds, and disciplines can meet and unite their voices and strengths. WOMEN Inc. organises talk shows, networks and actions as well as a bi-annual well-frequented women’s festival. During the numerous events organised by WOMEN Inc., Mama Cash has been a prominent guest. Together with Women Inc, Mama Cash has organised several March 8 (International Women’s Day) events. In 2007, Mama Cash started to advance her plan to get governments, foundations and non governmental organisations to invest more money in women’s rights. In that year, the Dutch government created the ‘MDG3 Fund’ in accordance with the United Nations Millennium Development Goal 3: equal rights for women and girls by 2015. Mama Cash worked together with several organisations, including Hivos, Cordaid and Oxfam Novib, and assisted the government to develop criteria and guidelines for the new fund. Mama Cash herself was not eligible for the MDG3 subsidies, but she was committed to enabling marginalised groups within the women’s movement to receive a financial boost. She succeeded in having the subsidy threshold lowered to 300,000 euros from the initial 700,000 euros, thereby ensuring that smaller organisations would be able to request financial support. The MDG3 Fund was a great success. 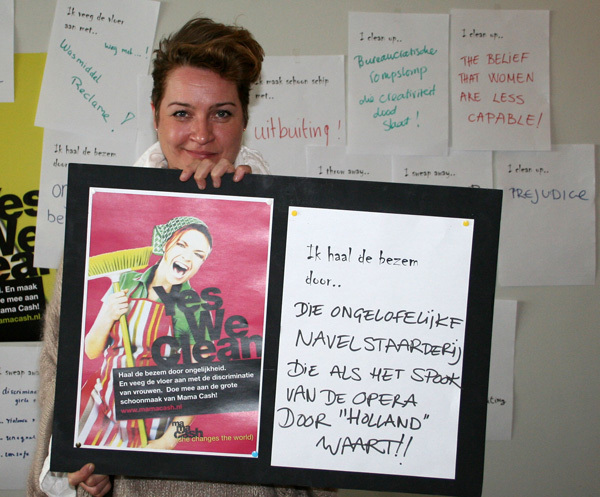 Because of the quality of the requests, the Dutch government granted 70 million euros to 45 women’s rights organisations and funds in 2008, instead of the projected 50 million euros. Fourteen of those 45 groups were former Mama Cash grantees. Mama Cash’s grantmaking and donor advocacy was international in scope. Now her internal profile became more international, too. The Programme Team in particular was strengthened with women from various women’s movements worldwide. English became more and more the language of communication in the office. 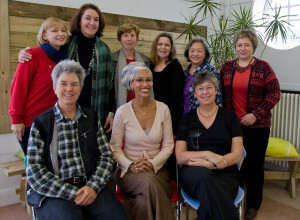 Four women from the international women’s movement joined the originally all-Dutch Board in 2006. Executive Director Kamphuis: ‘As an international organisation granting subsidies, raising funds and hiring personnel internationally, it is only natural to have an international Board as well’. The following year, the Chair position was shared by the Russian women’s rights activist Anastasia Posadskaya-Vanderbeck and Dutch medical doctor and activist Marjo Meijer, who had been one of the founding members of the network of Women with Inherited Wealth. The annual report had been written in both Dutch and English since 1996, but from 2008 onward, it would only be published in English. A Dutch translation was available in digital format on the Mama Cash website. While Mama Cash had always fought for women’s rights around the world, the workers’ rights of her own team of over twenty employees had been, relatively speaking, neglected. 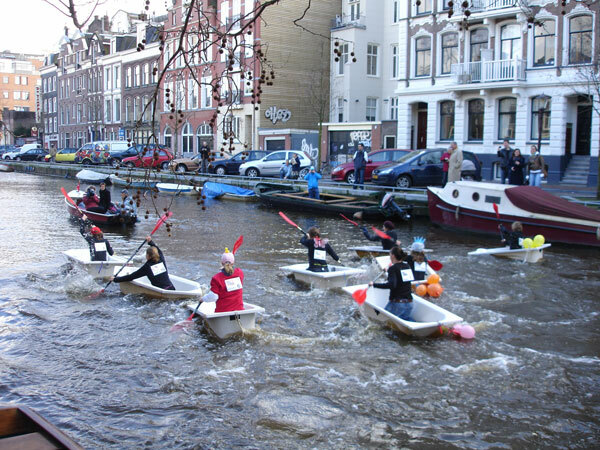 To meet the Dutch requirements for employers, staff representatives were appointed in 2006. Given Mama Cash’s history as a volunteer organization, salaries had remained low. This in turn meant that it became increasingly difficult to find qualified personnel. Mama Cash began to review salaries in 2007 in order to better align them with Dutch union rates. The new Board sent a wind of change sweeping through the organisation. Marjo Meijer, co-chair of the Board: ‘It happens to any organization that at a certain point growth and development are weakening. That’s when you need a boost of new energy’. 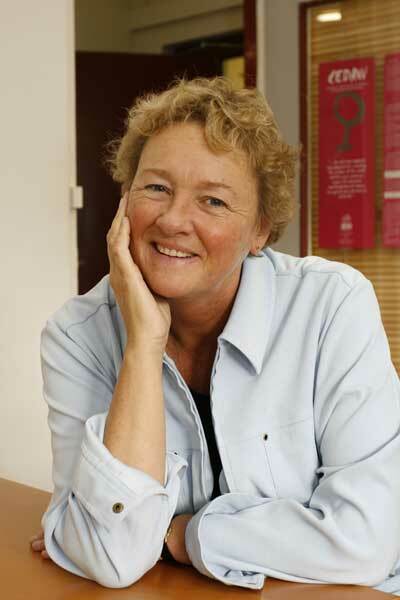 (watch interview) The Board appointed Nicky McIntyre – who had worked for Mama Cash’s sister, the Global Fund for Women in the United States, and who had been the Director of Fundraising and Communications at Mama Cash the year before – as the new Executive Director in 2008. McIntyre was the first non-Dutch Executive Director of the organisation. During the period 2004 – 2008 Mama Cash granted 12,159,000 euro to 1234 groups. In the year 2008, 24 full time staff and 28 part-time volunteers worked for Mama Cash.